We received many responses to the last Langstaff Letter; hence this follow up letter. Many expressed their feeling about seemingly unanswered pray. This response came from Ireland, “I have been supernaturally healed of degenerative disc disease in my back and neck. My “frozen shoulder” was healed in 2012. My son was healed of peanut allergies in 2007. He was also healed of permanent hearing loss in his right ear in 2013. I have seen people healed of various other issues. “My dad died of cancer in 2010. My cousin’s husband died in 2018, a passionate pastor, after 18 months of a serious debilitating form of meningitis. Bill Johnson, from Bethel, has seen many people healed of many things, yet his son is +90% deaf. And on and on the stories go. We all have them. “So what do I do? When I see a need, when I have a need, I make the request known. I pray and ask God to heal. And then I watch and wait. 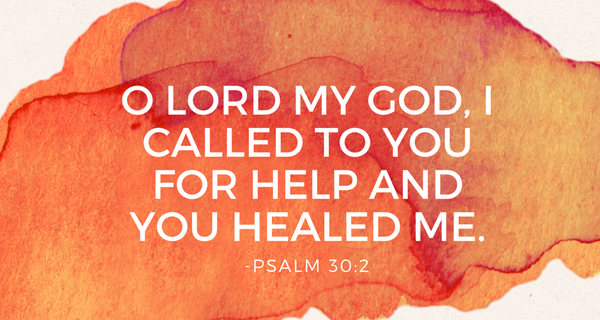 “God CAN heal. God DOES heal. But WILL He heal in this situation before me? I do not know. But He is God, and I am not…and I would rather ask Him and feel disappointment in not seeing healing than to not ask Him at all. It was also pointed out that people in ministry and leadership also face challenges regarding healing. Craig Nelson and his wife Suzy are a wonderful couple with a ministry called ‘Miracles in the Marketplace,’ where they have seen wonderful miracles of healing take place. They also present a conference each January in Minneapolis, now in its 8th year, entitled ‘Twin Cities Prophetic Conference (for details visit http://www.miraclesinthemarketplace.org). Recently, I read an article by Suzy that caught my attention and touched my heart. “As many of you may already know I (Suzy) had surgery in June to repair a brain aneurysm. Everything went very well during the procedure, and I took the month of June off from work and ministry to recuperate. I have had lots of prayer support and know that those prayers carried me through. My head is fully recovered, but I am still working on building up my stamina. A number of pastors and leaders sent encouraging responses. Let me finish off with another great story from Lee Strobel’s book ‘The Case for Miracles:’ “Duane Miller’s greatest enjoyment came from preaching at his small church and singing songs of worship. It wasn’t just his livelihood to lead a Baptist congregation in Brenham, Texas; it was his passion, his calling, and his source of joy and satisfaction. When he awoke with the flu one Sunday morning, his throat was like sandpaper, and his voice would “catch” on words. Each syllable was painful to speak. The flu soon disappeared, but his windpipe remained ablaze, and his voice reduced to a raspy whisper. His throat felt constricted as if someone were choking him. For all practical purposes, Miller’s voice was gone. No longer able to preach, he resigned from his pastorate. He eventually landed a government job researching records-a position he then lost because of his inability to speak meant he couldn’t testify in court about his findings. Insurance stopped covering his treatments, and he faced thousands of dollars in medical bills. “For the first time in my life, I felt utterly useless. My income, my future, my health, my sense of well-being, all were suddenly beyond my control. It was a terrifying and humbling experience,” he said. Despite Miller’s protestations, his former Sunday school class at First Baptist Church of Houston prevailed on him to speak. A special microphone was used to amplify Miller’s soft, hoarse, croaky voice-and the class agreed to endure the grating sound because of their love for him and his teaching. His stunned audience began to clap and cheer, shout and laugh; his wife, Joylene, broke down in tears. “I don’t understand this right now,” Miller stammered-with a fresh, new voice. The dramatic moment of Miller’s recovery had been captured on audiotape, which went viral. Subsequent doctor examinations showed his throat looks like it never had any problems; in fact, against all odds, even the scar tissue has disappeared. Today, Miller is pastor of Pinnacle Church, serving the Cedar Creek Lake area of Texas. Ironically, he also hosts a daily program on a Dallas radio station-yes, using his voice to tell others about the God who he is convinced still performs miracles. At his website (http://www.nuvoice.org/about-us.html), you can listen to the tape of when his voice came back. Let us not stop! Let us keep believing! Let us keep expecting! Let us keep looking to the Lord who is the one who heals! Duane MillerHealingMiracles in the MarketplaceSuzy NelsonWhy aren't you healed? I have contracted a rare, painful, disabling illness. I asked the Lord for permission to seek physical healing which He declined. Who am I to tell God that He must heal me, take away my pain, and extend my life? Things of this world are trivial. Worrying about physical things distracts from the Great Truth: Jesus has written my name in His Book of Life. Rejoice in the Eternal not the world. I consider my suffering to be a stewardship. He has entrusted me to demonstrate that His Eternal Kingdom is superior to all the tribulations the World can throw at us. It is an honor I don’t deserve to be steward of The Gospel with my disease. Suffering as Christ would is the goal. Brethren, we will all sicken and die eventually. Why worry when we can’t add a single hour to our lives. Thanks Alan I can’t hear it enough, miss you both! Wow! This letter has so encouraged me! So many are quick to give their opinions regarding why someone has not been healed. So much speculation and condemnation comes from those who stand in judgment: “They lacked faith,” “They didn’t pray enough,” “They didn’t pray correctly,” etc. They reduce the sovereign healing of God to a work of man. I think of it this way: We pray, God heals. Our responsibility is our response to HIS ability! Let’s be honest, this side of heaven, we’ll never fully understand all of God’s ways.